Force Motors, the Indian car maker had launched its classic SUV during the SIAM (International Bus and Utility Show) held last year with price tag of Rs. 6.25 lakh (ex-showroom price in New Delhi) and even started the booking of SUV for its prospective buyers, but did not delivered any of its unit to its customers. It is now reported that company is going to deliver the SUV to its buyers from June this year.At the time of launch Force Gurkha was empowered with 2.6 litre turbocharged diesel engine developing the power of 85 bhp and torque of 230 m.
The engine is coated with five speed manual gearbox. The engine is developed to meet the BS-III emission standards and now according to reports company is speculating to enhance the fleet of SUV by additional trim which would be according to standards of BS IV. 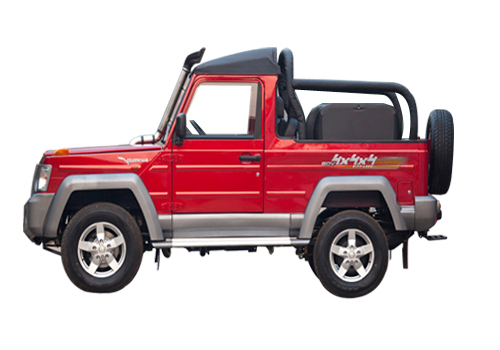 The major features offered in Gurkha includes power steering, dual tone garnish, power air conditioner. It would be offered in three trims including two soft top and a hard top variant. The other features offered in Gurkha SUV include transfer case, fog lamps, ladder frame chassis, snorkel exhaust, and the ground clearance of 210 mm. After launch Gurkha is expected to compete with Maruti Suzuki Gypsy and Mahindra Thar which dominates the segment due to availability of Suzuki Gypsy only on demand. Click here to read about the features offered in Force Gurkha.